The proposal was given by the BJP government in Uttar Pradesh in a bid to revive the legacy of Upadhyaya, who died in 1968 at the junction itself. The junction, the fourth busiest railway station in the country, is located on the main Howrah-Delhi Grand Chord line. 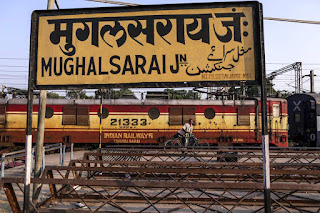 The Uttar Pradesh government, headed by Yogi Adityanath, had in June approved the proposal of renaming the station and forwarded it to the Ministry of Railways for final approval. 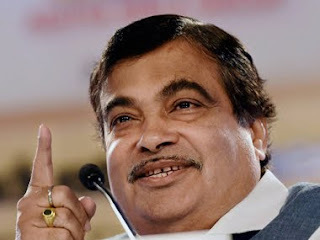 The Road, Transport, Highways and Shipping Minister will represent India at the oath taking ceremony Iranian President Hassan Rouhani tomorrow. 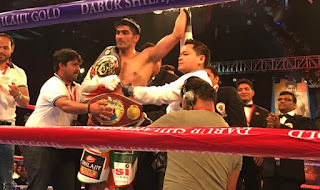 It was double delight for the fans as Singh also snatched the WBO Oriental Super Middleweight title from the Chinese, who is nine years younger to him. It was the 32-year-old Beijing Olympic bronze medallist’s ninth successive win in his professional career. 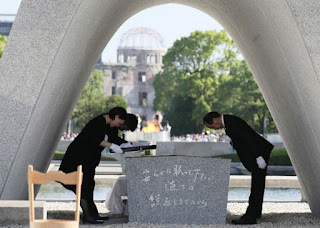 Japan on Sunday marked 72 years since the world’s first nuclear attack on Hiroshima, with the nation’s traditional contradictions over atomic weapons again coming into focus. 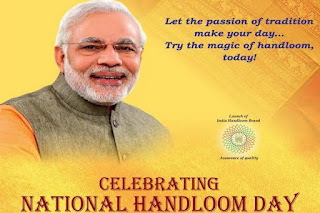 National Handloom Day is being observed today to encourage people to use hand-made loom in the country. The main event will be held in Guwahati to celebrate the third National Handloom Day. Central Government has declared August 7 as National Handloom Day, to be celebrated every year due to its significance in India's history, as 'Swadeshi Movement' was launched in 1905 on this day. The movement involved revival of domestic products and production processes. 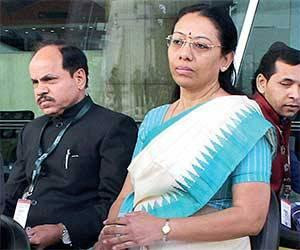 S. Aparna, an IAS officer from Gujarat cadre has been appointed as Executive Director, World Bank to represent the constituency of India, Bangladesh, Bhutan and Sri Lanka for three years. His appointment comes five days after the incumbent vice-chairman Arvind Panagariya announced he was quitting the government think tank on 31 August to return to Columbia University. 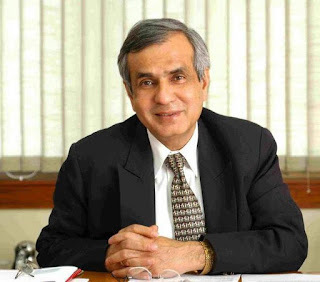 Kumar, a senior fellow at Centre for Policy Research (CPR), is also chancellor of the the Gokhale Institute of Economics and Politics in Pune, and is the founding director of Pahle India Foundation, an organisation that specialises in policy-oriented research and analysis. 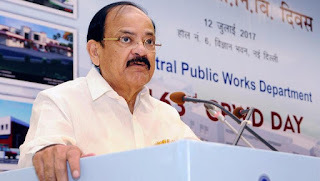 NDA nominee M Venkaiah Naidu was on Saturday elected as the next vice-president of India by securing over two-thirds of votes, leaving opposition candidate Gopalkrishna Gandhi far behind. Naidu got 516 votes out of total 771 votes cast while Gandhi could only manage 244 votes. Of the 771 votes polled, 11 were invalid. Although 785 MPs are there in both Houses of Parliament, 14 MPs could not vote. Naidu will be the 13th person to hold the second highest constitutional post. The strength of the electoral college comprising both elected and nominated MPs of the Rajya Sabha and the Lok Sabha is 790. The agreement was signed by Joint Secretary (MI) in the Ministry of Finance, Sameer Kumar Khare, on behalf of India and Vice President and Chief Investment Officer, AIIB, D J Pandian on behalf of the AIIB. The objective of the project is to improve the rural road connectivity and accessibility (by providing all weather road connectivity) to 1,060 villages in all the 33 districts in Gujarat state benefiting about 8 million people.